According to SkyTrain Explorer, there's a walking school bus for neighbourhood children that go to the school. I don't suppose you were part of that? 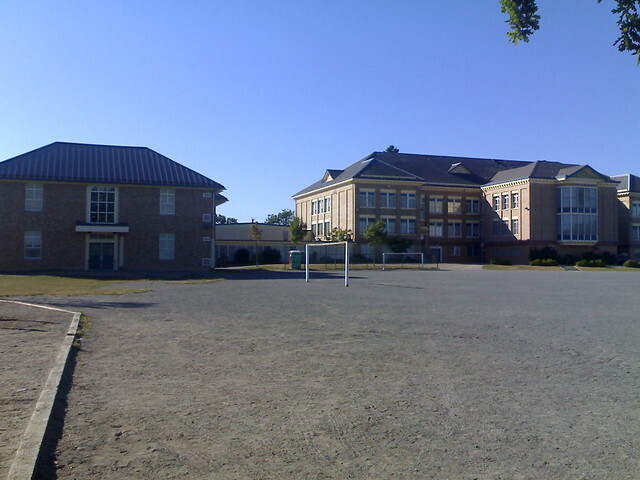 This was my elementary school from 1960 to 1967. It has changed abit. The windows, portables etc. I used to live on Duke Street in the 1960's.